Despite what we’re told these days, there are pockets of people across the pond–young people, college students even–that apparently really, really like America. Like, they like it so much they’re super into our most popular sport, the one embodying the sort of gladiatorial spirit and uncultured brutality that supposedly makes everyone–even us–hate us. The physicality. The attitude. The cheerleading. Thanksgiving. The Superbowl. They love it all. Even the logos. Yes, the design of the decals that for more than three years have adorned the helmets worn by Tarannau (Welsh for “Thunder,” only with an inexplicable extra N), the 26-year-old team representing Aberystwyth University in the British Universities American Football League, appears to be identical to the one on the side of the helmets (and everything else) worn by the Auburn Tigers. 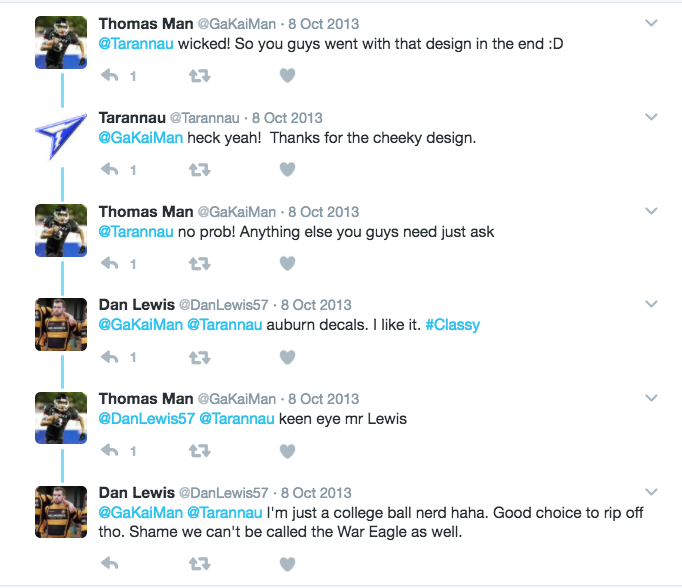 “From what I have been told, the design was inspired by Auburn as we are huge fans of the uni and regularly follow its progress in the league,” says Mark Smith, Tarannau’s current committee president. “Inspired” may be a bit of an understatement, at least judging by the response to the 2013 tweet revealing the logo. “Regularly follow,” on the other hand, might be a tad of an overstatement (just to be nice). Despite the recent rise of Auburn fans loyal to the crown (like you know who and Aberystwyth PhD student Nathan Greasley, who told me about AU’s connection to AU), the UK’s growing pigskin curiosity is primarily piqued by the pros; turns out that NFL International Series at Wembley is really paying off. 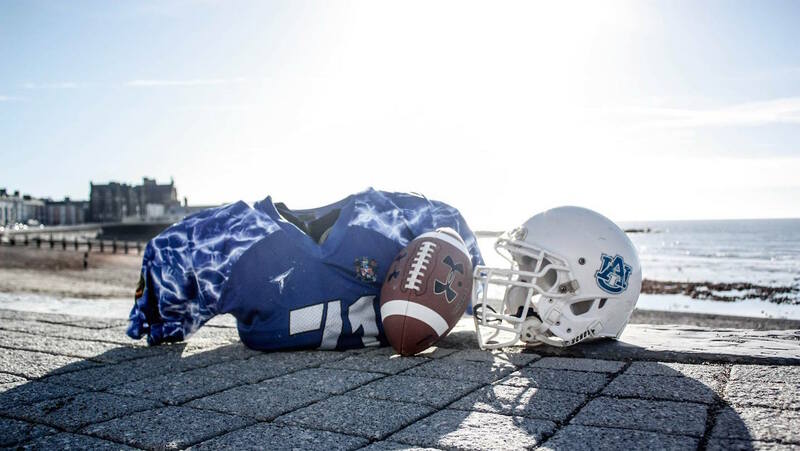 But even if the aesthetic connection to Auburn isn’t exactly advertised, it’s still readily acknowledged. When Aberystwyth student Alice Ball failed to notice Tarannau’s logo during the scene in Netflix’s Last Chance U showing John Franklin signing with Auburn, other players made sure to point it out. 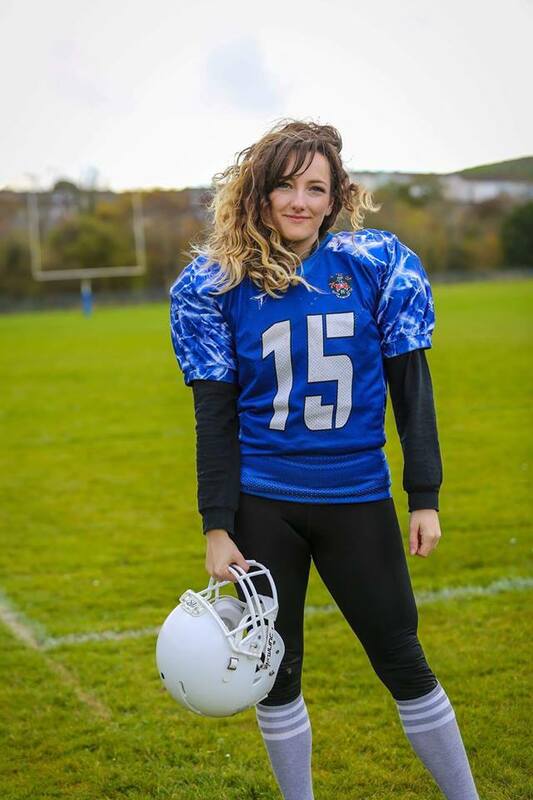 Two years ago, Ball was cheerleading for Tarannau AU; she actually went to Aberystwyth on a cheer scholarship. She’s currently lining up at a wide receiver. Yes, there are a few, slight differences between American American college football and the British American college game. For instance, it’s occasionally (out of necessity) played on slightly longer rugby fields. And they’re not fields, they’re “pitches,” and pitches don’t have “goalposts”–they have “wishbone posts”; Aberystwyth actually had the very first wishbone posts in the BUAFL. She loves the aggression. The cardio. 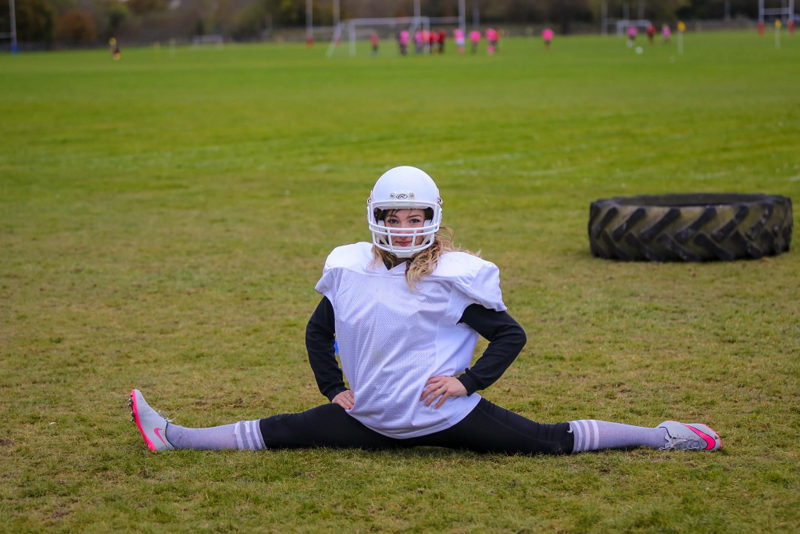 Her first football experience was quarterbacking on a five-on-five girls team. She wanted more. 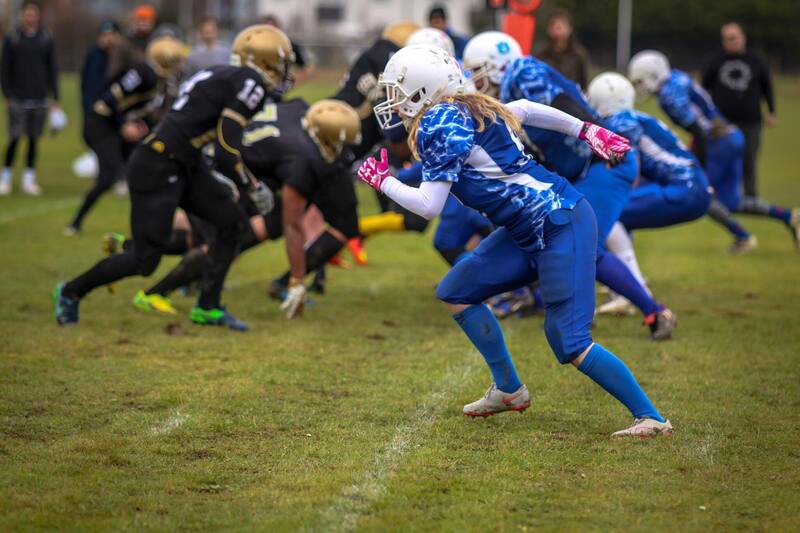 Tarannau had plenty of good hits in their away game last Sunday, enough for mention on the other team’s Twitter feed. But sadly, not many plays worked out well. Ball was sick. Other players were hurt. That didn’t stop them from driving six hours to take on the Plymouth Blitz, which in addition to having the league’s most ironic nickname— their university was nearly wiped off the map by the Luftwaffe—also happens to be Southwest Division 2 champs. 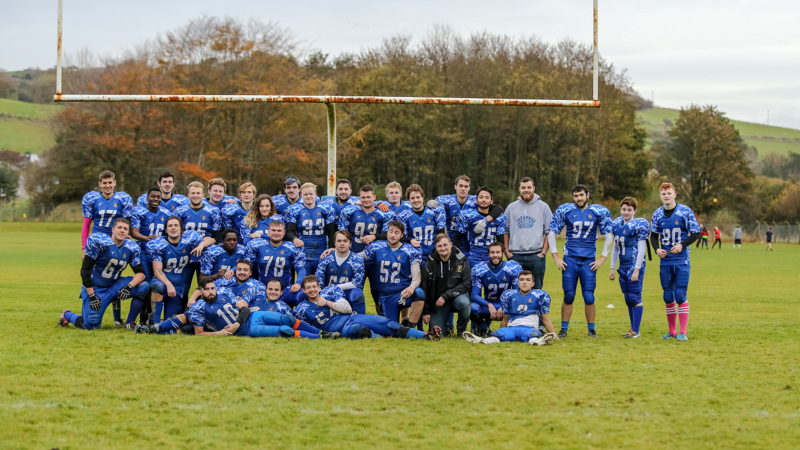 Tarannau lost, 41-0. It wasn’t exactly a surprise; since adopting Auburn’s logo in 2013, the team’s had a pretty roller coaster ride. They went from a perfect season and winning their division to struggling to put together anything remotely resembling an offense. It’s gotta be the helmets. 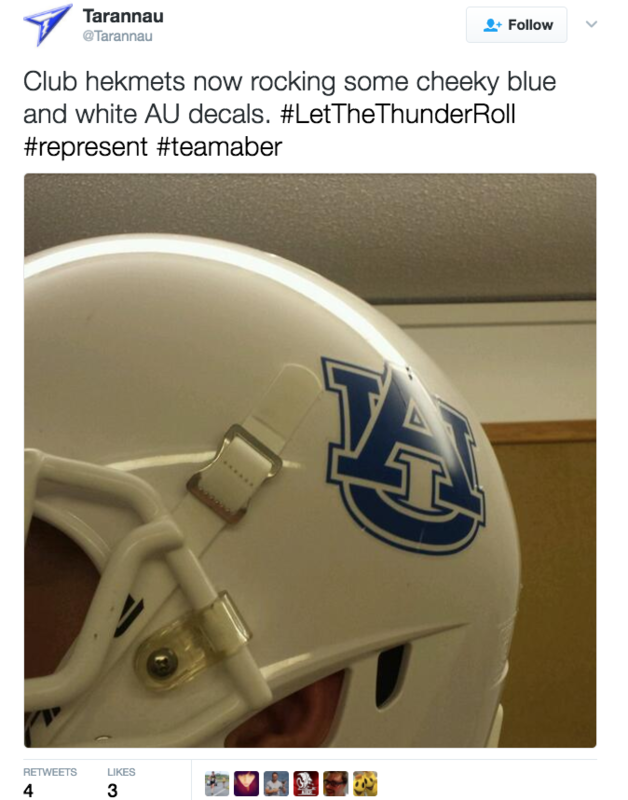 Related: And The Beat Goes On: The True Story Behind Auburn’s “AU” Logo. 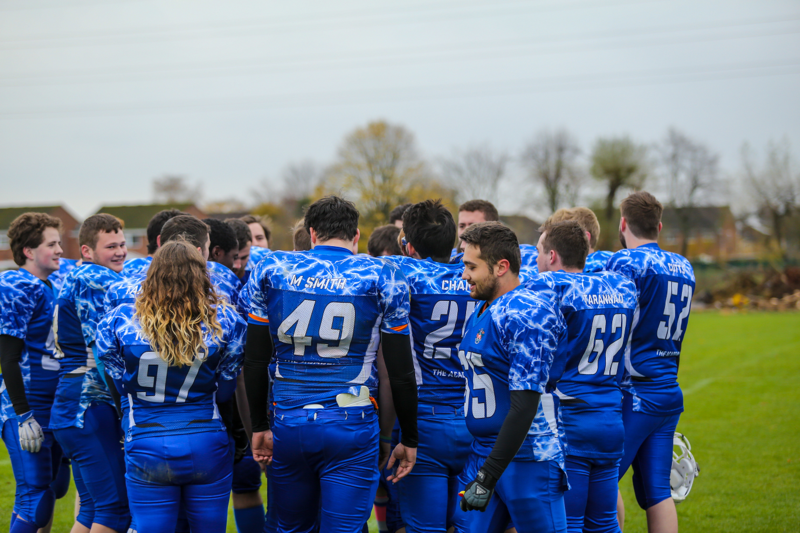 I played on the American Football team at Oxford – awesome time! The Brits pick the game up pretty quickly. 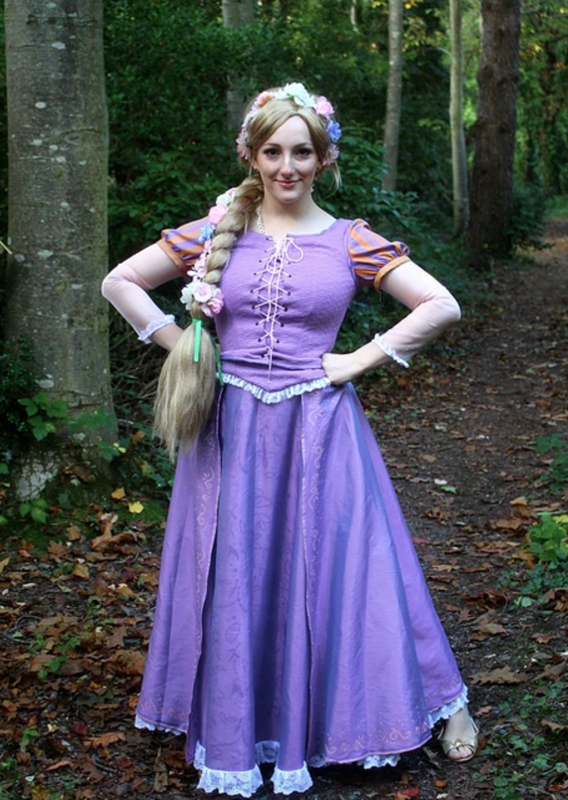 Hardly! They won one of six conferences in the lowest tier of college football in the UK. Fact check much? Ball is so AUSOME! Go Aberystwyth University Tarannau!